Naimbag nga rabii, naglaing kayo amin! 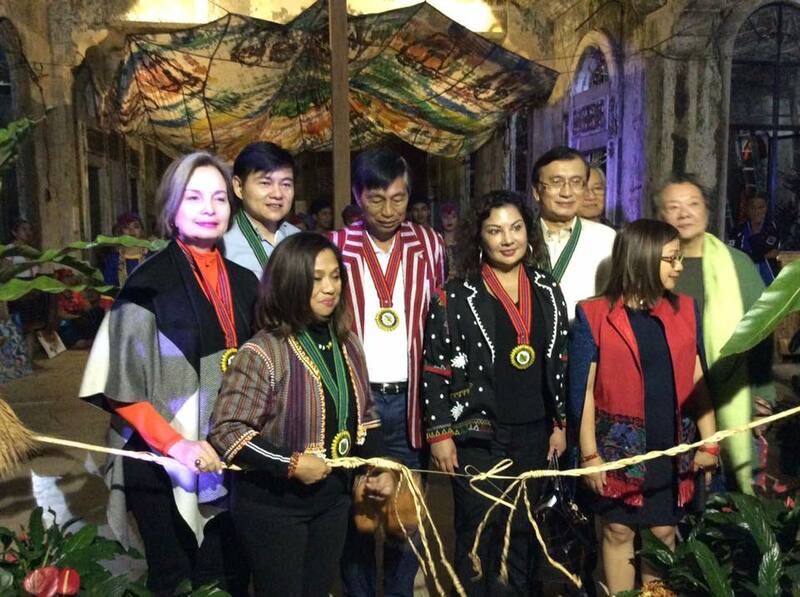 Undersecretary Edwin Enrile, Tourism Promotions Board COO Venus Tan, CCP Chairperson Margie Moran, Benguet Governor Cresencio Pacalso, Congressman Mark Go, Mayor Mauricio Domogan, Laida Lim, artists, heritage workers, and the people of Baguio, ladies and gentlemen, good evening. I am thrilled to be back in Baguio, the Philippines’ first UNESCO Creative City! As I said during the launch of the Creative City title last February, “I remember being fresh from university graduation in 1989 and joining the CCP’s Museo ng Kalinangang Pilipino for my first job. During my stint with the CCP, we came up to Baguio to attend the famous Baguio Arts Festival, which eventually put Baguio on the world map. While at the Festival, I met and interacted with artists like Roberto Villanueva, Santi Bose, Kidlat Tahimik, Ben Cab, Willy Magtibay, Laida Lim, Katrin de Guia, Tommy Hafalla and many others — all of whom were the lifeblood of that breathtaking festival. 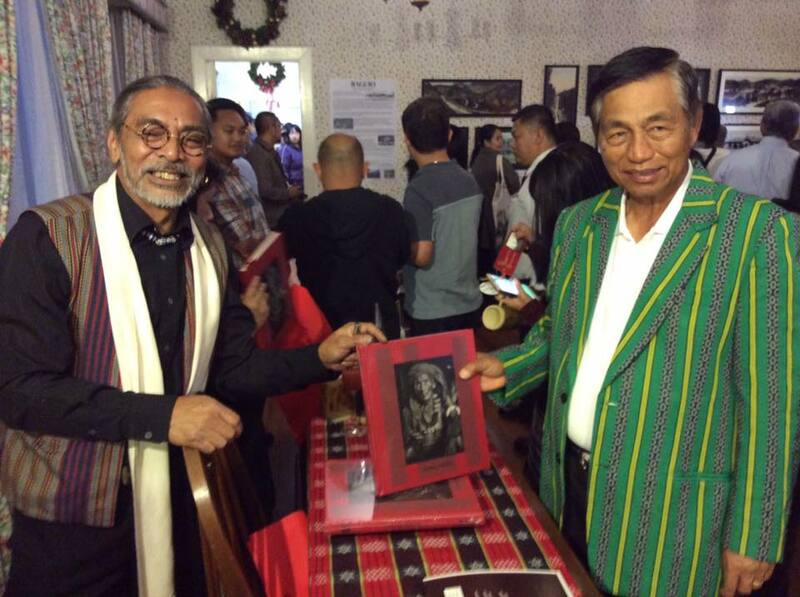 Indeed, the gifted and iconic Baguio Arts Guild left a deep impression on me. It was my first time to experience that ethereal feeling of being here, surrounded by the lush green environment that the people of Baguio call home — with its Igorot culture and vibrant arts community — many of whom remain dear friends to this day. “So when UNESCO designated Baguio a Creative City, I was genuinely thrilled by the news, although not at all surprised. Baguio is, and always has been, a world-class Creative City.” Tatlong dekada na po kini-kilala and mga manlilikha dito sa Baguio ng buong mundo! 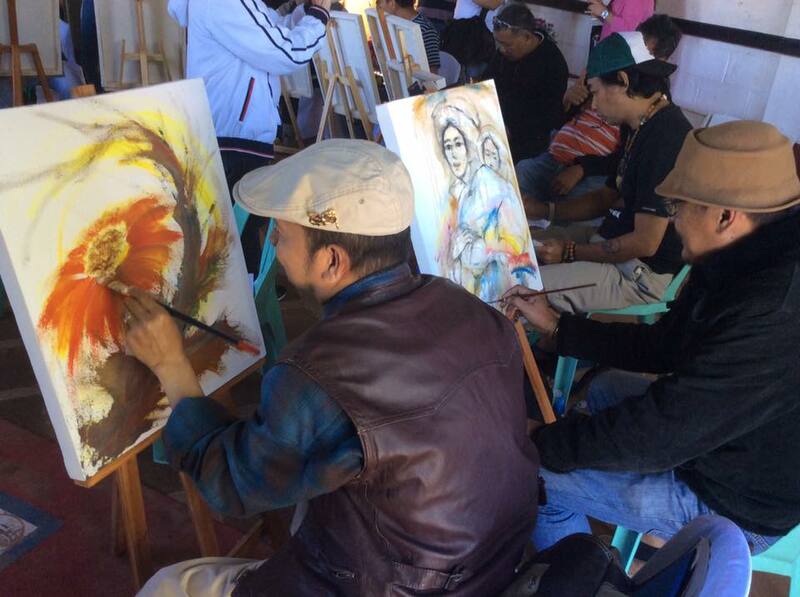 Sadly, for many complex reasons, the Baguio Arts Festival was not able to sustain itself. Some of those reasons were structural, some partisan, and some purely organizational, such as the financial demands of sponsoring international festivals annually and sustaining the organization itself. The artists, as many of them have told me, were busy multi-tasking: organizing the festival, raising funds, promoting it here and abroad, curating the international participants, organizing logistics, AND — on top of all that — finishing their own art works in time for opening day. That was no small accomplishment for this band of talented Baguio folk. Naturally, they were worn out and felt they needed more institutional support. It seems that Panagbenga, while colorful and beautiful in its own way — although infinitely more commercial — has become more of a priority for the local community. But it should be remembered that Baguio got the UNESCO Creative City designation not because of Panagbenga, but because of its unique confluence of Cordillera-influenced crafts and folk art — specifically, woodwork, silverwork, and weaving. There have also been artist-run efforts, such as the 2011 AXIS Art Project and the 2015 Markets of Resistance. And we cannot overlook private initiatives resulting in numerous creative centers, like the BenCab Museum, the Maryknoll Ecological Sanctuary, Victor Oteyza Community Art Space, Tam-awan Village, Easter Weaving Room, Narda’s Handicrafts, the Ili Likha Artists Wateringhole, Asin Woodcarvers Village, and Café by the Ruins — all hubs of creativity energized by a sheer love for culture and the arts. How could UNESCO not choose Baguio as a Creative City over other contending cities? There is here what UNESCO calls a “creative economy”— a synergy of artistic sectors generating local business enterprises. Few cities have this endowment because — since the Americans created this hill station in Benguet — Baguio has become a conjunction of rich Igorot culture, on the one hand, and artistic cosmopolitanism, on the other. Finally, it is the home of two National Artists, my old friends Kidlat Tahimik and Ben Cab. All these swirling energies have contributed to making Baguio a UNESCO Creative City. So I am delighted anew that Chancellor Ray Rovillos and Tourism Promotions Board Head Director Venus Tan — and the many enterprising communities in Baguio — have once again been able to resuscitate a creative Baguio festival this year. But what, you might ask, is the value of a UNESCO designation anyway? If it doesn’t come with a cash gift, why does it even matter? Vigan’s World Heritage status is a good example of how investments can result from a UNESCO inscription. Since its World Heritage listing, significantly more investments have been made in basic infrastructure there. Prior to inscription in 1999, Vigan was merely a 2nd class municipality with an annual revenue of P27 million. After inscription, Vigan’s leaders came up with an action plan to transform the town into a thriving community with productive citizens and a more distinct identity. From a staggering unemployment rate of 45% in 1995, the city’s jobless population is now down to less than 8%. The city’s annual revenue has also increased more than 12 times since 1995. A UNESCO listing can thus help create a nexus of local and national government, international NGO activity and private sector involvement. Not to mention the international prestige that comes with such a listing. But there is also a dark side to being part of this prestigious list: hardly a year goes by that my office doesn’t become involved in some potential UNESCO de-listing or danger listing of one site or another. Yes, sites have been known to be deemed endangered by UNESCO or removed from the list altogether. This happens when the local government and the community do not sustain, protect and nurture — in short: take responsibility for and invest in — the creative environment that led to the UNESCO designation in the first place. So how do we make sure that the UNESCO designation of this beloved city doesn’t go up in smoke at some later point in time? After all, to ask artists and craftspeople on their own to not only create and curate, but also to finance, the arts community as a whole (as the Baguio Arts Guild had done in the 80s,) is not only unrealistic — it’s a pathway to burnout and cynicism. The first step is therefore to develop an official recognition of the artistic sector as a whole — not just to awarded artists but to the entire artistic community — that arts and culture are inextricably linked to national development itself. Take the case of Angono, Rizal — also the home of two National Artists, the great muralist Botong Francisco and composer / musician Lucio San Pedro, flanked by a dynamic artistic community. 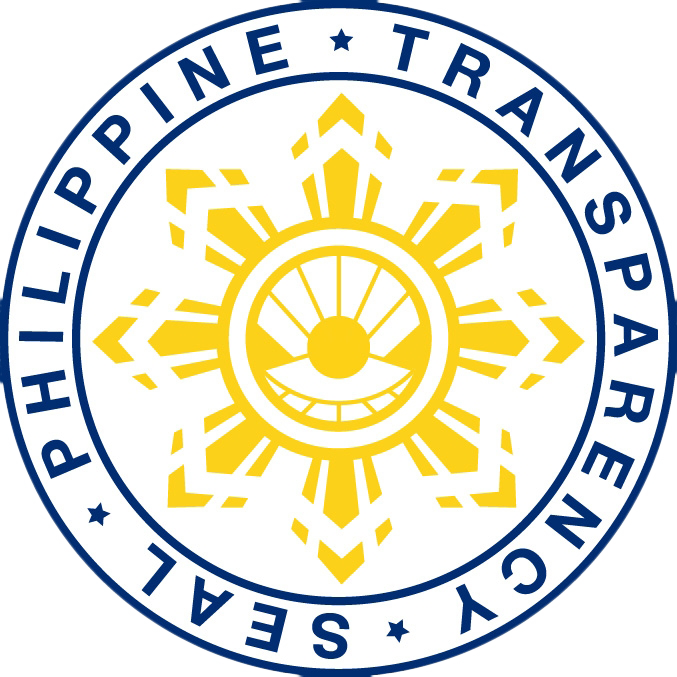 Its LGU has been brought up as a municipality, like other municipalities, with a regular annual automatic appropriation included in its local government budget: an impressive precedent other municipalities might consider emulating. 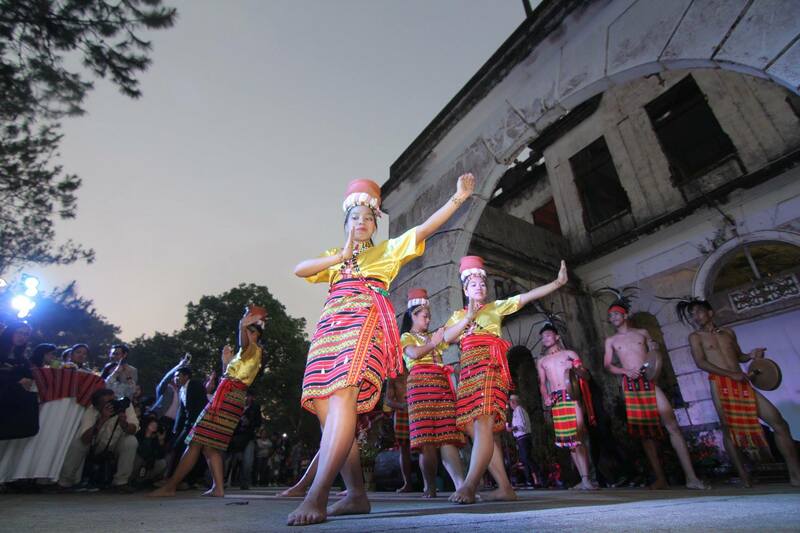 Just last year, the DILG issued a memorandum on the creation of local culture and arts councils in line with Chapter 7 of the Philippine Development Plan (PDP). I am aware that, here, too, there is an effort on the part of the Baguio LGU to create a local Arts and Culture Council, and I am hoping that Baguio’s legislators will ensure that it will be representative of the city’s diverse creative communities. This Arts and Culture Council should be distinct from the present Tourism Desk in City Hall, however. Because, while there are confluences between the promotion of arts and culture, on the one hand, and the promotion of tourism, on the other, both have different concerns and interests. For example, Angono has an Arts and Culture Desk – separate from its Tourism Desk – in its City Hall. The DILG, in partnership with NCCA, requires the presence of a Council for the promotion of culture and the arts; budget appropriated for the conservation and preservation of cultural property; and availability of a recent inventory of cultural property in the LGU. This last requirement means that the municipality or city should have recently undergone cultural mapping. But all this is not the responsibility of the local government alone. The national government — NCCA, DOT, DTI and my office, the UNESCO National Commission of the Philippines — also have to step up to help Baguio. And, in the end, the private sector must also help. After all, total government spending amounts to only about a third of our country’s GDP — and if you make that domestic spending only, it’s less than 15%. This means that the bulk of the money in our economy is in the private sector. So why not invite them (a philanthropist and RCBC scion like Boy Yuchengco, who contributed substantially to the Baguio Arts Festival, comes to mind) to invest in artistic production as part of their Corporate Social Responsibility? They might even consider sponsoring an arts residency program, if properly packaged. Ultimately, what makes any of this happen is US. The arts community, the private sector, the LGU and the national government — together and individually, with successes and failures — all have endured, and today can benefit from Baguio’s UNESCO Creative City designation. And I add the commitment of my office and my own personal energy to propel the Baguio arts community to an even higher level of brilliance. This UNESCO designation is not only an honor for Baguio City alone; it is a triumph for the Philippines and the creative communities throughout the country. And so I am here to share in your milestone and your joy. Thank you and matago-tago tako am-in!